There's this idea that you should spend the majority of your young life working towards a job that will enable you the freedom to spend your time how you want after you retire. As long as you do what your parents tell you to do, you'll be "alright". You'll make your aunts and uncles happy when you tell them that you're going to X university, working for the prestigious X company, and making X amount of dollars. But there's only one catch: you just have to sacrifice 20-30 years doing something you don't want to do to get it. I think there's a faster, better way to get what you want. Instead of delaying your happiness, why not just do what makes you happy now? What's stopping you? In a friend's case, her Should was stopping her. You should always go to college. You should never hurt someone's feelings. You should not risk embarrassing yourself in front of the family. Shoulds can bound us -- if we let them -- but ultimately, we get to choose what Shoulds we agree with, and which ones no longer apply to us. 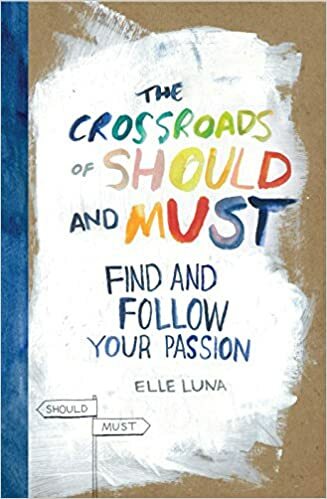 In The Crossroads of Should and Must, a book by artist Elle Luna (based off of her original Medium post), she proposes that with every decision we make, it's at this pathway that we learn the most about ourselves. Do you choose Should -- choosing to live our life for someone or something other than ourselves? 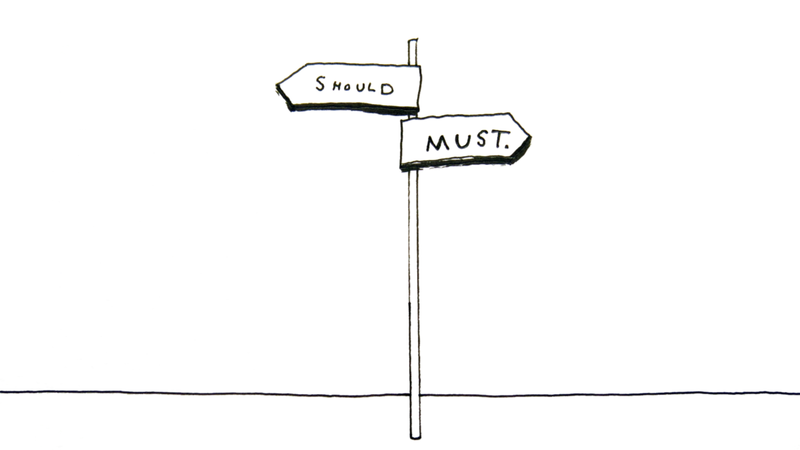 Or do you choose Must -- who we are, what we believe, what we do when we're alone with our truest, most authentic selves. For a lot of people however, it's extremely difficult to pursue their Must. It's scary. It's unpredictable. It's often shunned upon by your family and sometimes even your friends. "What if doing what I love doesn't pay?" Then work, and do what you love on the side. Don't have the free time to do what you love? Find a job that lets you have the free time to do what you love. You'll be building momentum to finally reach that place where your work and love cross paths. t's fine to sacrifice doing things you love here and there. But when sacrifice becomes a regular part of your "story", it becomes poisonous. Take notice of what your Shoulds are and what your Musts may be. Comment on my page and let me know what your BIGGEST should is. I reply to every comment. Feel free to email me at evanduyLe@gmail.com.